Create letters in Writer, design attractive Presentations and calculate values using formulas in Spreadsheets with WPS Office to reduce business expenditures and grow sales. If you are tired of using Microsoft Office, Try WPS Office because its simple, light and freeware office suite. There are 3 main applications are included in this software such as Writer, Presentations and Spreadsheets. It was famous among computer users with Kingsoft Office but later, its renamed to WPS Office for some reasons. All the primary components have similar interface with MS Office such as navigation, tool bar, menu bar, shortcut keys, print settings, text stylizing, fonts, formula bars and more. 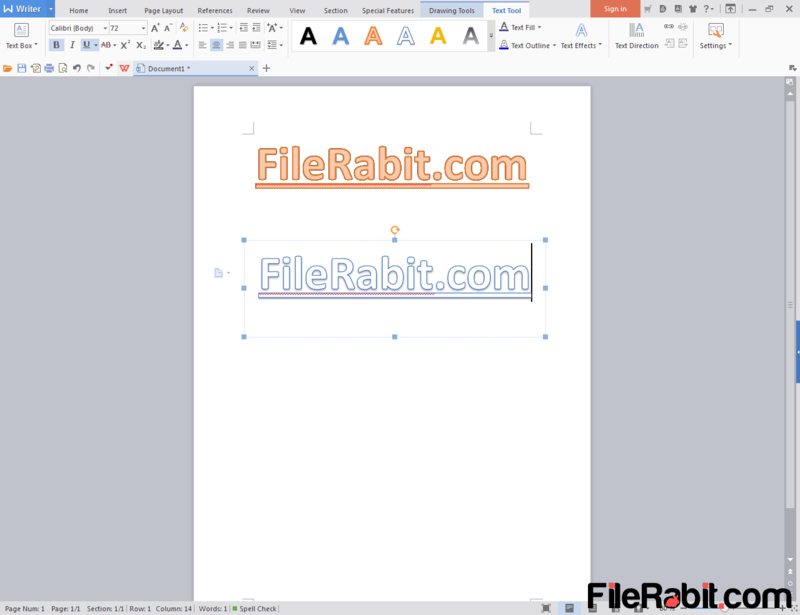 We are talking about the free version but WPS Office Professional is rich with features, bundles and company based functionalities that needs one time subscription. 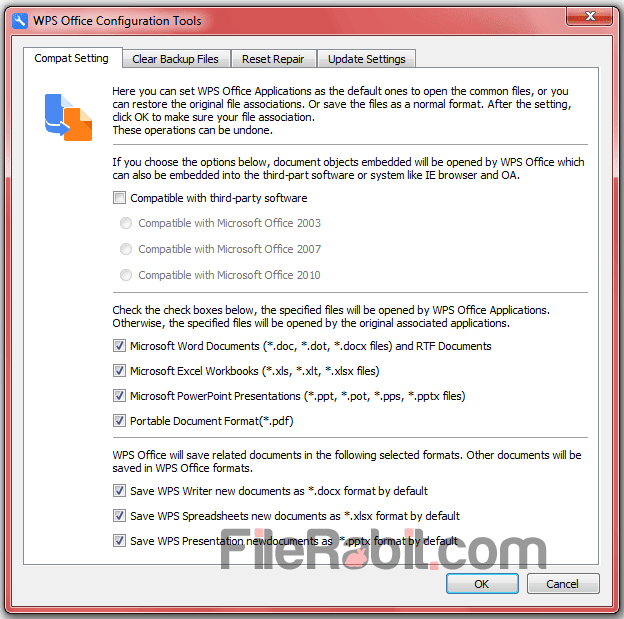 However, any Microsoft office files including DOC, DOCX, XLX, XLXS, PPT and PPTX are supported by WPS Office. 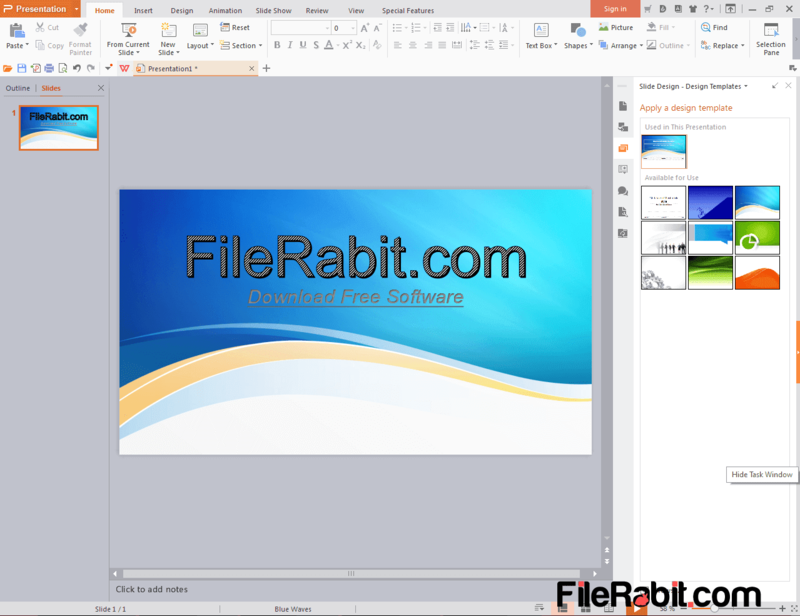 Anyone can edit, maintain, manage and printout these Word, Excel and PowerPoint files without having Microsoft Office. Additional file extension support has been added for viewing PDF, XML, RTF, HTML, XLT, DOT, PPS, POT and more. These office applications are lightweight and less resource taking that will surely increase laptop battery timings. Comparing to MS Office, higher price level, loaded and hang system simultaneously and higher battery consumption issues will be resolved in WPS Office. Writer: It can be used to compose CV, letters, applications, table layouts, head letters, company letter pads, experience certificates, assignments, school/college/university question papers, model papers, syllabus and other documents. It has word count, spell checker, print settings, stylizing, borders, page settings, margin and more. Spreadsheets: It contains tables that are divided by rows and tables showing numbering an sorting. 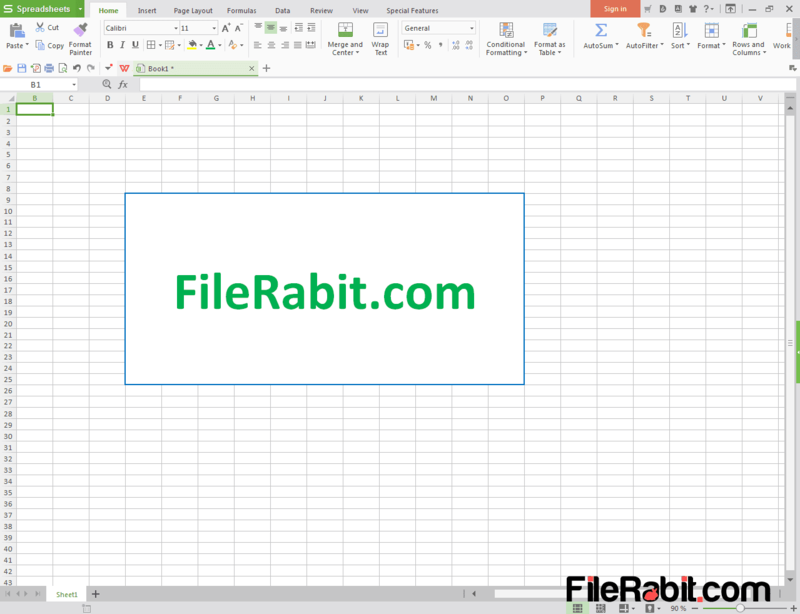 The interface is similar to Microsoft Excel but its light and fast utility. Create datesheets, profits. loses, list of workers/students, calculate monthly or yearly expenses as well. Enter formulas into formula bar so Spreadsheets will calculate values automatically. Presentations: It lets you to create professional slides with adding personal text, company profile, school or business introduction. It has dozens of predesigned slide templates that can be applied with just a single click. Create, edit or print Microsoft PowerPoint slides with adjusting margins, coloring, stylizing, fonts, text boxes, outline and shapes.